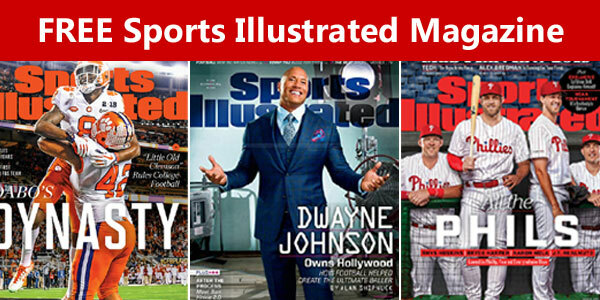 Sign up to get your Free 1-year subscription to Sports Illustrated Magazine. Note: once you fill out the form you need to complete the survey and that will give you $20 in rewards points that you can use to get the free Sports Illustrated magazine subscription. You can take surveys once a week to earn points and get more magazine subscriptions for free.